Beef is a good source of protein, iron, zinc, and the B vitamins. Consume it as part of a balanced diet. Coat pan with olive oil and heat on medium. Add steak, sear for 6 minutes on each side. Remove cooked steak, place on cutting board, let cool slightly and thinly slice. Set aside (it will still be very raw). In pan add 1/2 tbsp olive oil, heat on medium. Add garlic, onions and mushrooms. Cook until browned (about 10 minutes). 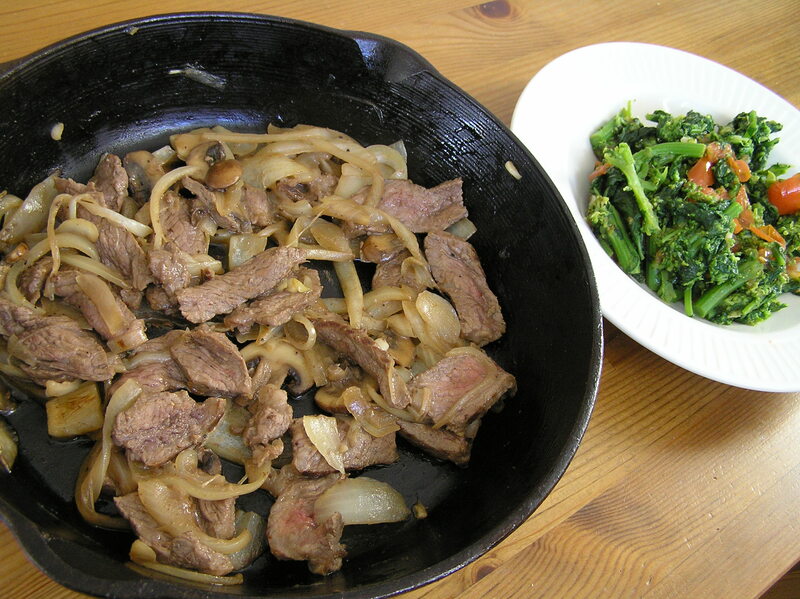 Add sliced steak into pan with garlic, onions and mushrooms. Add vinegar, stir and cook until desired doneness. Add salt and pepper. Note: Cast iron pans are great for searing. The meats become crisp and browned to perfection.